Pass your test quickly and easily in Gloucestershire-Airport with a fully qualified local Instructor. Do you want the cheapest driving lessons or do you want quality affordable driving tuition that will give you the best chance of passing your driving test 1ST TIME? Mike Williams will help you to pass the test and drive safely with fully structured training to keep you on track and ensure maximum value. Our ´coaching´ method uses a supportive, yet challenging approach. The Mike Williams Driving School method will help you to recognize your strengths and weaknesses and show you the best way to accelerate your progress. All of our training is based on your individual needs and our main priority is to help you to become a safe and responsible driver as quickly and efficiently as possible. No more cold wet mornings at the bus stop or inconvenience of relying on other ways of getting around! Call 01452 290121 for more information. We will develop your driving skills so that you not only pass the test but become a confident and economic driver – this will save £££´s in years to come and help to ensure your safety and security on the road. While we´ll show you some test routes you will not be bored by driving around test routes every driving lesson, once you pass your test you may never drive on a test route again! We will give you the confidence you need to go further away from home to experience different roads in areas where you are most likely to drive after your test. For instance, if you live in Gloucester you may drive to Cheltenham, and if you live in Cheltenham, you may drive to Gloucester. 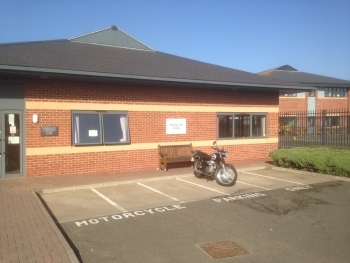 We even offer you an out of town shopping route or a visit to the railway station car park. We will help you by following the syllabus developed by the Driver and Vehicle Standards Agency (DVSA) to help you pass the Theory, Hazard Perception and the Practical Tests - The DVSA are the people who will be conducting your driving test, so it pays to get the best driving tuition possible. 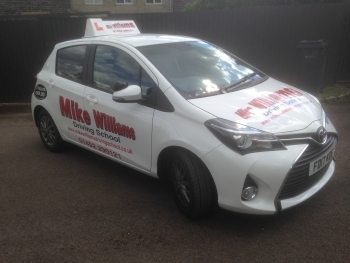 Mike Williams Driving School puts you first – Call us today on 01452 290121 or text 07863239331 now to find out about our latest offers. Who are YOU going to TRUST with your driving tuition? Beware! Some driving schools charge much more, but believe me, this does not mean they deliver the best driving lessons. They then say that anybody charging a lesson price that is less than theirs´, must be giving you the customer, less value for money. Another ploy is to say that they can get you to Pass your Practical Driving Test in an average of 20 - 25 hours,... really?!?! You go on board with them, take longer than that, and you are then told that some people take longer than others. It´s their way of justifying a higher price. Please see my Customer Reviews, and see what my clients say about their learning experience. 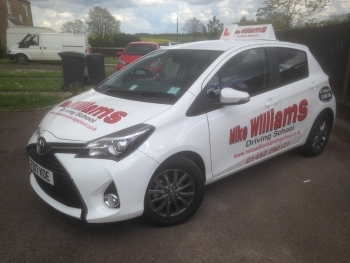 By taking your driving lessons with Mike Williams Driving School in Gloucestershire-Airport, you will be getting the best of both worlds with very high standard, cost effective lessons that have helped hundreds of learner drivers successfully pass their test and go on to be confident, safe and responsible drivers. All pupils take in information differently and your driving lessons will be adapted to cater for your own learning style. This will allow you to get the maximum benefit from each and every lesson ensuring consistent progression at a pace that best suits you. This allows your confidence and skill behind the wheel to build more quickly and can SAVE YOU MONEY as you will reach test standard with fewer lessons. 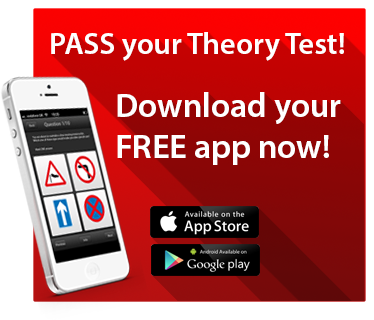 In addition to the standard lessons, I also offer hazard perception & theory test help and advice, Post test tuition, Refresher and Motorway lessons. Thanks for reading, I look forward to speaking with you soon. Gloucester and Cheltenham for lessons. My Mission is to get You to Pass your Test 1st Time!